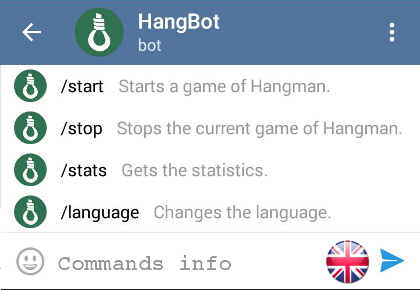 HangBot allows you to play the game Hangman online. 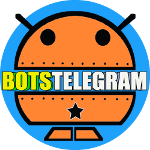 If you want to play together, simply open this bot’s profile and press “Add to group”. /stats – to see how many times you have won. 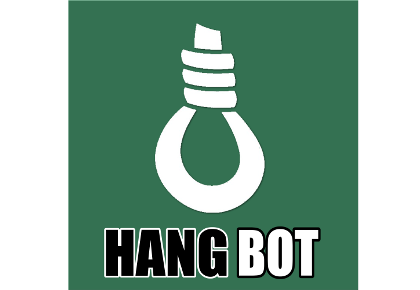 I was using hang bot for several months, but today it does not work any more! It does not start at all. I am wondering what the problem is. Can @hangbot be added to a 1 on 1 chat? actually you can play chatting directly with the bot, so yes. Hello there! Is it possible to edit this bot, so only certain words’ hangman come up? 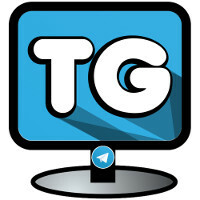 Hangbot is unresponsive @Telegram. Any clues on why?